Inner diameter 1.14-1.19mm; needle length 13mm (1/2 inch). The Green tip is 17 gauge diameter and works on thiner glue like Gem Tac. 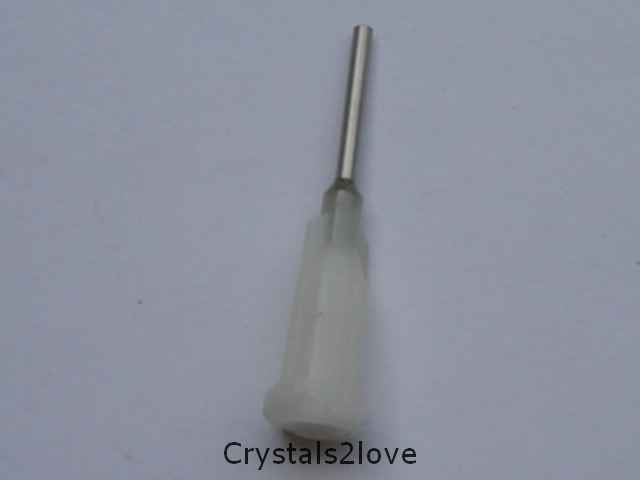 This size applicator tip works great for any flat back Swarovski Rhinestones.